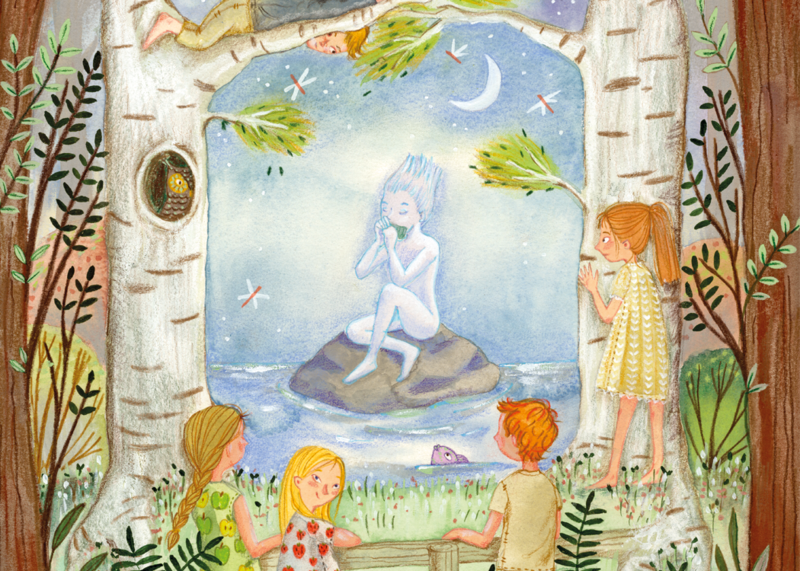 This drawing ‘The Water Spirit’ was inspired by the book ‘The Children of Noisy Village’ of Astrid Lindgren. 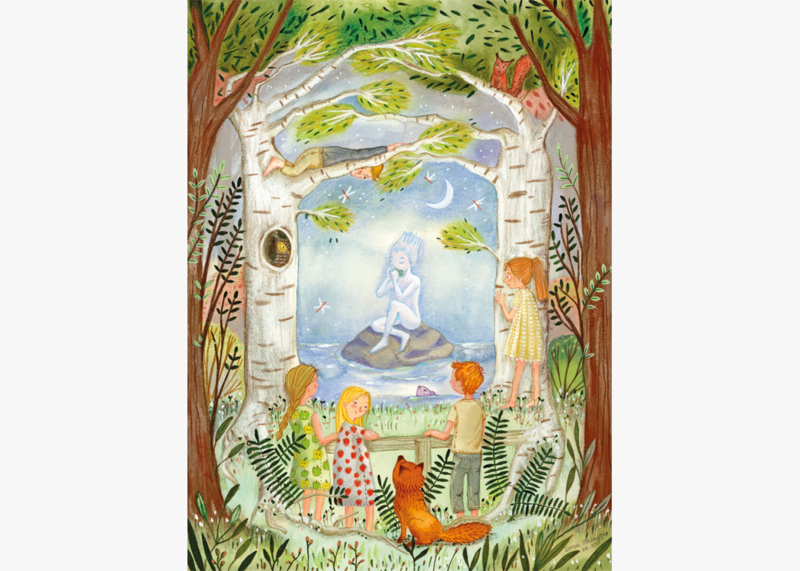 I’ve made it for an exhibition which was held in September 2018 in the Astrid Lindgren museum in Vimmerby, Sweden. This exhibition was part of a children’s book festival; SmåBUSfestival. The story about the water spirit in the book immediately spoke to me. It is somewhat mystical and exiting, but also funny as the oldest boy acts as if he is the water spirit. All the other children are bewitched by the idea of a water spirit. I can remember how I could easily believe in such as story when I was a kid. When I read the story, a magical, nocturnal image came to me and I knew I wanted to make this drawing.